Try googling “outstream ads”, and prepare to be stunned. The multitude of insights, research studies and opinion pieces across the web, covering outstream-related has grown absolutely huge! What’s driving this tremendous media hype, anyway? According to the latest IAB research, outstream video formats, specifically developed to display outside video content, prove super-effective for premium brands and editorial-content publishers. That is, outstream video ad units, inherently viewable by design, resolve the two crucial tasks at once, i.e. ensure the non-intrusive advertising experience to website users. The InPage, perhaps the least disruptive outstream ad format, implies embedding the ad player natively in-articles or their pieces of editorial content. As a reader scrolls through the text, the branded video content launches in the ad player when in-view and collapses upon scrolling away, or upon video completion. The video ad sound is “Off” by default and only switches on upon user interaction, e.g. mouseover. 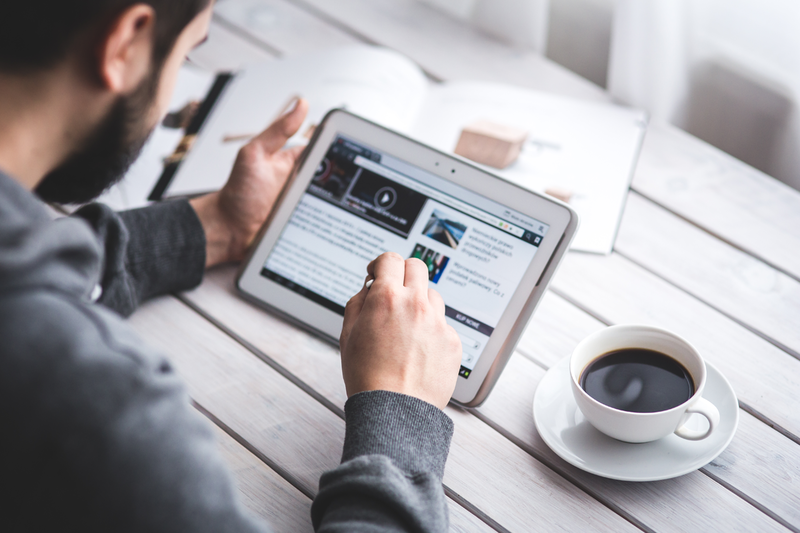 The InView outstream format implies adding a video placement outside editorial content, which makes it exceptionally viewable to website visitors. As a reader scrolls through the website content, the video ad player slides onto page (usually from the bottom right corner), with ad content launching inside it. That being said, the ad player position is customizable. This means it’s possible to set up its slide-in from basically any part of the page (vertical, horizontal, etc.). 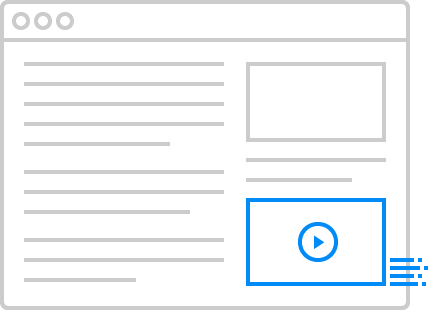 Furthermore, InView video ads usually include one or several CTA buttons on hover, e.g. “Learn More”, “Buy Now” or else. The default InView video ad configuration also implies the “Sound Off” mode that changes upon user interaction. 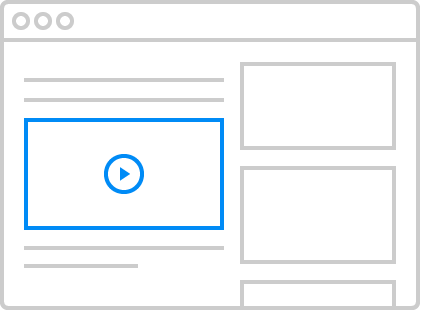 Being cross-screen compatible, InPage and InView help maximize ad viewability and video view-throughs on any computer or mobile device. If weaved into information-dense, highly-relevant pieces of content, the two outstream video formats enhance viewers’ experience and boost ad engagement rates.